Best Air Filters for Duramax Diesel Reviews: Top-5 in April 2019! 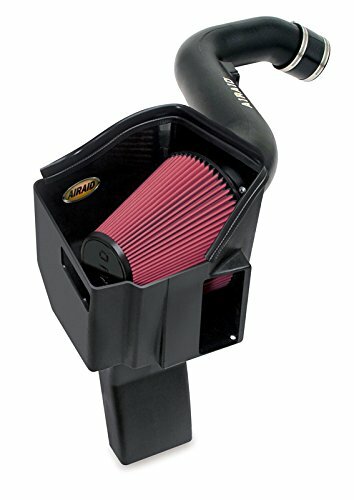 Air Filters for Duramax Diesel – Buyer’s Guide! The Duramax diesel engine is a GM V8 engine that is fabricated by DMAX as part of a joint venture between GM and Isuzu. The first Duramax 6.6L engine reached the market during 2001 in Chevrolet and GMC trucks, pickups, medium duty truck, and vans. There are over 8 different Duramax categories providing different levels of performance. The latest model is the Duramax LP5. This category was released in 2017, and is the most powerful of the series with 445 hp @ 2,800 rpm and 910 lb-ft @ 1,600 rpm. With some basic upgrades to the design specifications, performance can exceed 550 bhp @ 3050 rpm and 1050 lb-ft at 1975 rpm. As such, aftermarket upgrades will turn this model into a beast. A cold air intake filter kit is guaranteed to improve any engines horsepower and torque performance. Aftermarket kits are designed to provide better airflow rates, cleaner air and in some instances boosted air that helps support turbocharger systems. Most models are very easy to install, and a good kit will only require basic tools such as a screwdriver, plier and ratchet set. The time to replace is around 90 minutes. The best replacement kits come with OEM style holes and connection shapes and sizes so that you don’t need to drill or adapt any part during the installation process. Kits are vehicle specific, so you do need to ascertain your exact model before buying and pairing a kit. Now let’s take a look at the five best air filters for Duramax diesel engines. 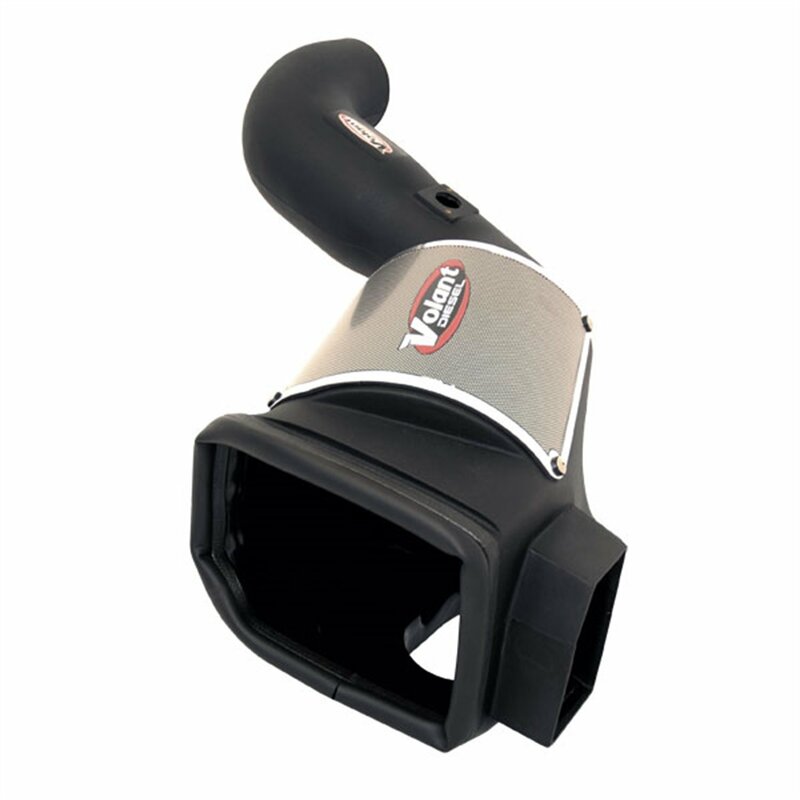 The K&N 57-3057 Air Intake kit is a stock replacement designed to fit 2005-2007 applications. 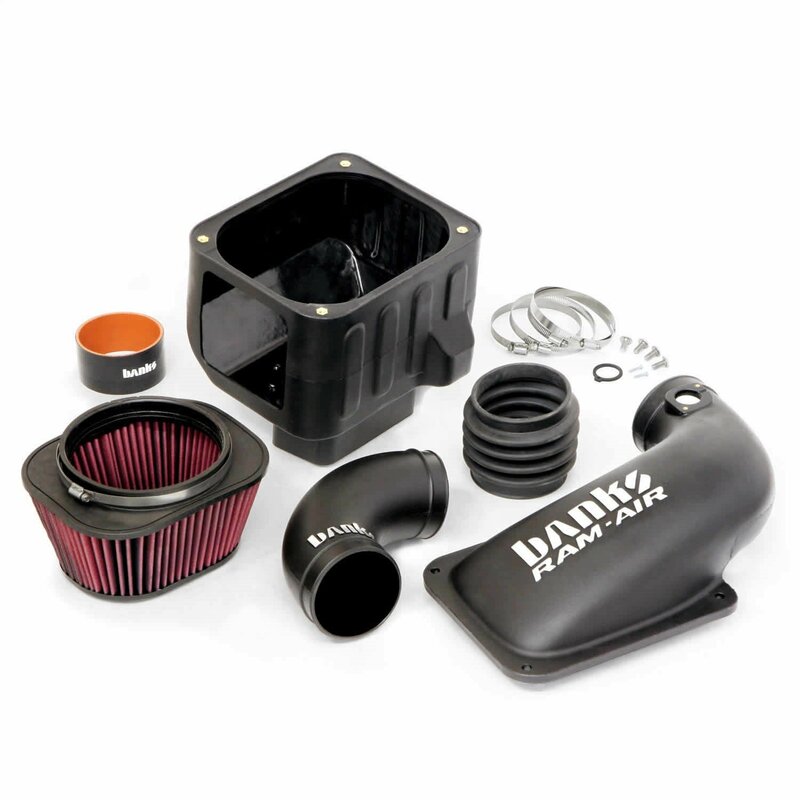 When it comes to OEM style replacement parts, the K&N 57-3057 FIPK air intake system is a straightforward equal to stock replacement kit and will give you the same performance levels you felt when bought your new Duramax model. These intakes are engineered to reduce air intake restriction as well as optimize the airflow throughout the system. With an improved airflow and fewer restrictions, you do get more horsepower and torque from this product, even though it’s an OEM replacement part and not a performance part. This model comes with a chrome top and a heat shield that fits into the previous air box space, and it accommodates the (MAF) factory mass air sensor. The cone-shaped filter is enlarged and gives you up to 100,000 miles of performance before maintenance. This model takes around 90 minutes to install and comes with all the hardware; you only need basic hand tools for this kit. This is a classic replacement part for your stock items and fits most 2007-2007 applications, but to be sure just check first both vehicle and part compatibility. This is the Banks® Ram Air Intake Systems that replaces the stock flat panel filter with a large conical filter. This air filter has been extensively tested, and the enclosed housing keeps out hot, power-stealing engine air while it inhales cooler outside air for more power and MPG. The large filter maximizes high-flow filtration that helps the engine to run cooler and accommodates engine movement. This model prevents component damage and outflows stock and competitors with a 35% improvement. This improvement is reached through reduced exhaust gas temps (EGTs), and exclusive 5-inch bellows that prevents component damage and the oiled air filter. For the newer Duramax models, this is a great upgrade that delivers outstanding performance, and the price is extremely reasonable for the performance to price ratio. The AIRAID 201-229 fits most 2004.5-2005 models. 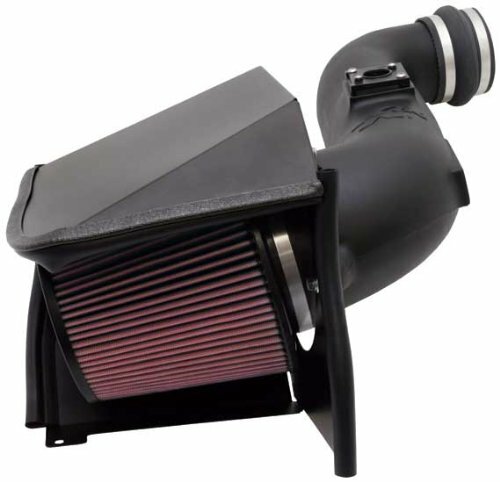 The AIRAID MXP Air Intake System is a great cold air induction system with excellent air filter performance. This model is designed with a one-piece roto-molded air box that outperforms the original restrictive factory design. The air intake tube is made from a cross-linked, high-density polyethylene CAD designed for optimizing proper mass air flow readings and calibration. This model includes fresh air ducting with ports for the factory mass air sensor and filter minder gauge. Each filter is designed to custom-fit to your specific year, make and model. The filter is washable and reusable and made from either a high-flow cotton-gauze SynthaFlow oiled filter or a synthetic SynthaMax dry filter. There are two system options, the Quick Fit System that acts as a replacement for the stock but connects to the stock intake tube. Or the Quick Fit System with Airaid Intake Tube which comes with a heat shield, and crosslink nylon intake tube. This kit installs in approximately 30 minutes with ordinary tools. This is a very focused filter kit, and each model is specific for a focused group of applications, they all deliver the same outstanding performance, and are well worth the value. 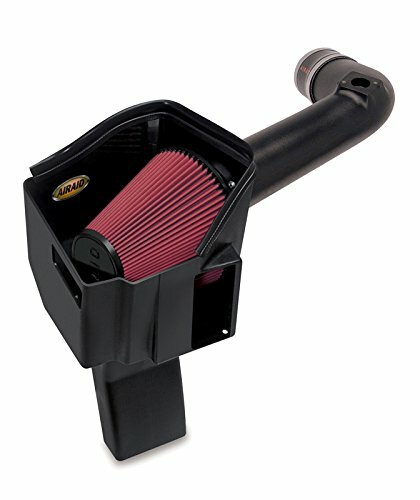 This is the Volant® 150666 Black Plastic Cold Air Intake System with Donaldson PowerCore® Filter for 2006-2007 applications. When it comes to a performance upgrade, then this is the kind of kit you want to get. This will bolster your engines horsepower, torque, and MPG. The 150666 is made from molded polyethylene and comes with specially designed ducts giving your engine clear, cool air passage. This model comes with 2 filter options to choose from, either the classic Donaldson® PowerCore® Filtration Technology or the Pro 5 Filters. The PowerCore® filters optimize the filtration process by up to 99.97% and are maintenance-free for up to 150,000 miles, while the Pro5 filters are made of layers of oiled cotton gauze for up to 15,000 miles of maintenance free driving. This model comes with an easy-open box lid for quick filter access and comes with stainless-steel marine-grade clamps. It takes around 60 minutes to install this kit. This model is designed for two applications, off the road dusty using the Powercore filters, or every day driving using the Pro5 filters. Although the Powercore filters are perfect for a long lasting maintenance free application which is why I recommend them over the Pro5 that require cleaning every month. This is the AIRAID 200-266 that fits most 2001-2004 applications. The AIRAID MXP 200-266 model Air Intake System is a great cold air induction system with excellent air filter performance. As part of the MXP family of filter kits, this model is identical in structure to the 201-299 model and delivers similar performance. Essentially, this models review is identical to the 201-299, as such, this model is designed with a one-piece roto-molded air box that outperforms the original restrictive factory design. The filter is washable and reusable, and made from either a high-flow cotton-gauze SynthaFlow oiled filter or a synthetic SynthaMax dry filter. This is another exceptional Airaid model and is designed for the 2001-2004 applications, delivering improved performance in HP, torque, and MPG. Blocks for Chevy Heads – Buyer’s Guide! Oils for Duramax – Buyer’s Guide!